Dennis Gartman may be taking a day off to spend time with his family, but that still didn’t stop him from shipping out this morning’s Gartman Letter which focused on the FOMC decision. His view is that the commodities market has gone “mad” since the Fed’s decision not to hike rates. Speculators are getting way too confident of a weak dollar and inflation. Crude oil and natural gas are up significantly this week and investors seemingly can’t get enough of it. Oil is currently at $82.39, up $0.69 and well above the critical $80 a barrel level. 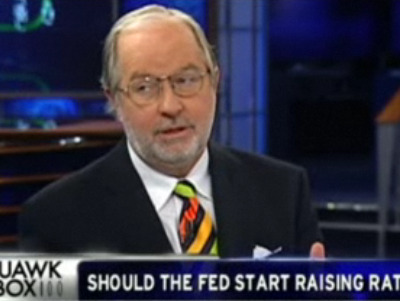 Gartman believes the madness will continue for some time to come.